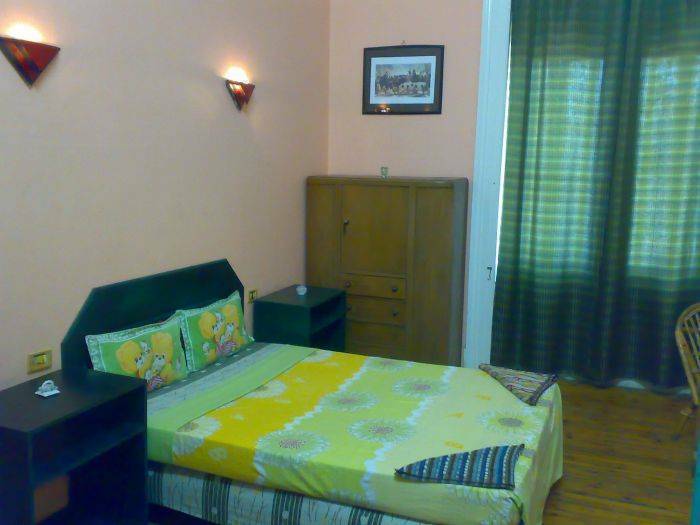 African Hotel welcomes budget travelers situated in the heart of downtown Cairo, a mere 3 minute walk from Ramses train station and 12 minutes from the Egyptian Museum. 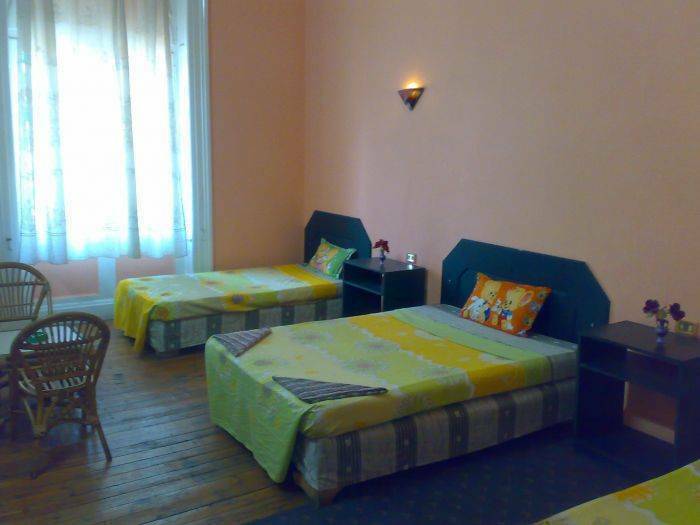 Our hostel is housed in a unique, historic 19th-century building with tons of period character. Guests can enjoy huge rooms with high ceilings and original wooden floors, in the combination that best suits your needs (from singles to triples, including a number of super-comfortable king-sized beds). Breakfast is served in our BADAWI CORNER, where you can enjoy our beduin atmosphere watching satellite TV with more than 200 channels in 5 different langauges. Discover a wonderful relaxed atmosphere where you can meet people from all over the world during breakfast, make new friends, and share a traveller's tale or two. Stay in one of the oldest and most famous streets in the whole egypt (The main area for nightclubs, theaters, cinemas and coffe shops). Few steps outdoors and find out the real cairo with its people, cars, spots and anything you can imagine! And after a long day spent discovering the treasures of Cairo, just come relax in our two comfortable lounges sharing other guests new tales or enjoying lestining to original oriental live music in the main lobby! Our professional in-house travel agency can accommodate all your travel needs with domestic and international flights, domestic tours and all reservations (bus, train, taxi, tours, transfers, airport transportation) can be made for your convenience. 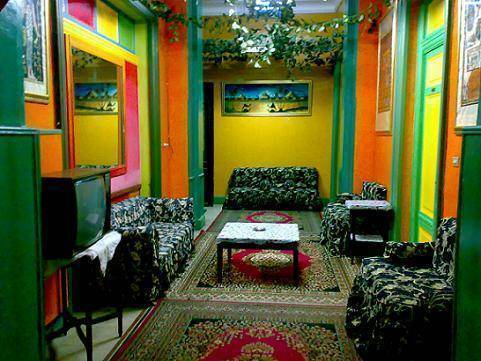 We provide pick up service for our guests from cairo international airport to the hostel. Transfers to and from the airport can be arranged on request. Please inform us for your flight details in advance (Book 4 nights or more in a double room ensuite and get free pick up one way one time). 24 hours Multi languages Receptionists. African hostel - ''A hostel whose quality is more like a hotel'' are the words continually being repeated by our guests! Our hostel is housed in a unique, historic 19th-century building with tons of period character. Guests can enjoy huge rooms with high ceilings and original hardwood floors, in the combination that best suits your needs (from singles to triples, including a number of super-comfortable king-sized beds). 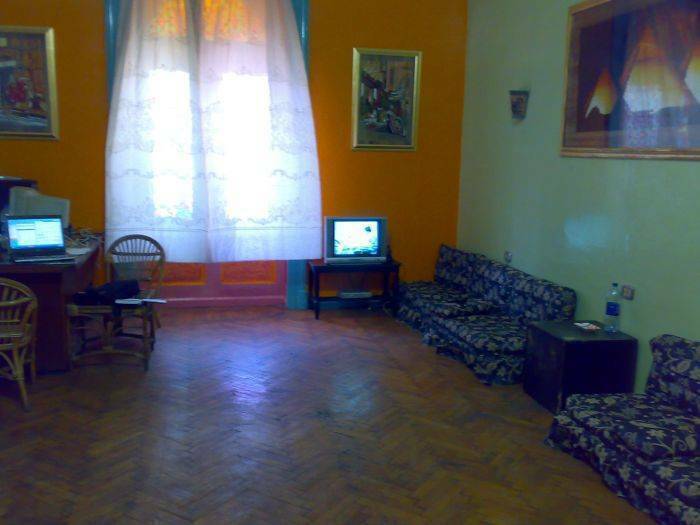 And after a long day spent discovering the treasures of Cairo, just come relax in our two comfortable lounges with satellite T. V.! 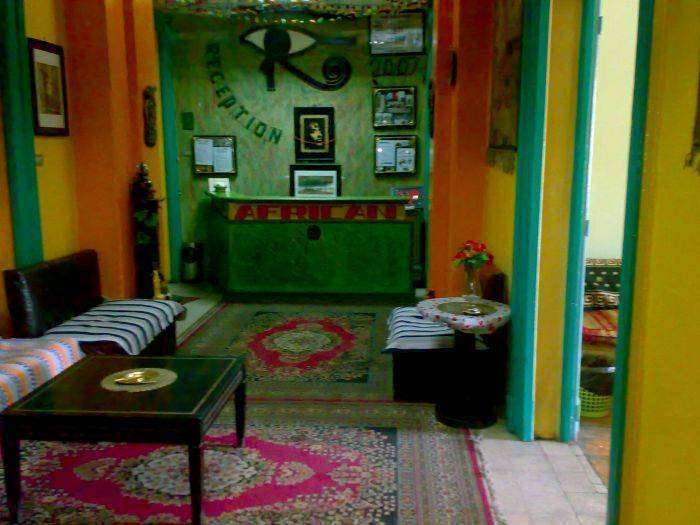 We look forward to seeing you here at the African hostel. Our prices may be cheap, but we will make you feel right at home! African house belongs to downtown area, so it is normal that all shops(clothes, gifts, backeries... etc)are close to our hostel.